The Art Guild was founded in September, 1976 by Steve Benton and Sheila Crabill. Folks in Williamson County have embraced fine art as a way of life, and has been promoting art education and art events for over a quarter century. It is a nonprofit organization governed by a volunteer board elected annually, the Williamson County Art Guild (WCAG) provides members and the public with information about a wide range of art subjects designed to inspire and produce opportunities for creative involvement and artistic development. Providing art shows, exhibits, programs, workshops and classes, the WCAG currently operates a gallery in "The Framers' Gallery" at 610 S Main Street, just north of the Courthouse Square in Georgetown, Texas, seat of Williamson County. We regularly have member exhibits at the Georgetown Public Library, St. Davids Hospital in Georgetown, and the "Art is Ageless" exhibit in the Wesleyan Nursing Home. 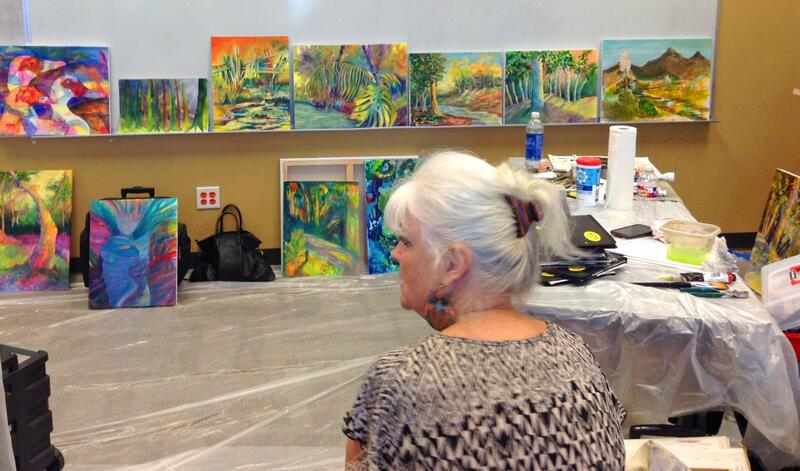 Our Guild members are very knowledgeable about art, and the Art Community in Williamson County. Member participation in community events on the square: Red Poppy Festival, Christmas Stroll, First Friday, etc.